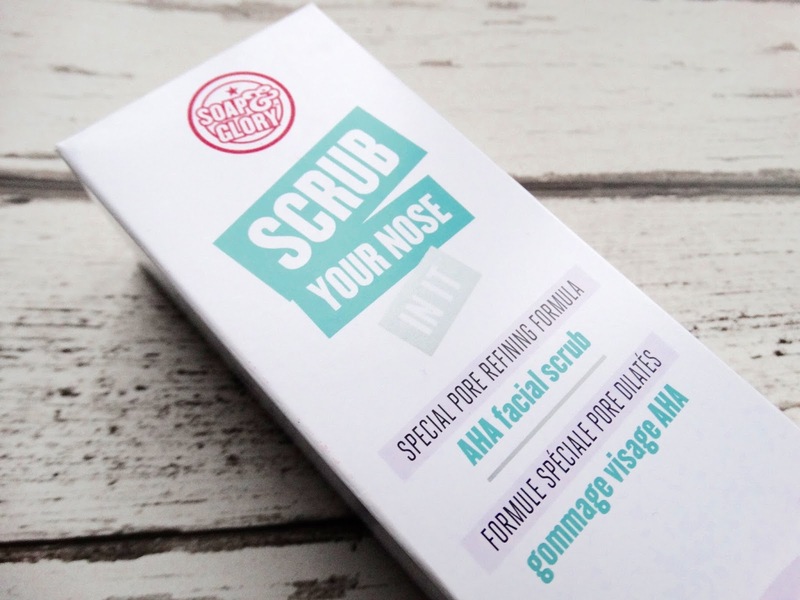 Ais Mc: Soap & Glory: Scrub Your Nose In It! 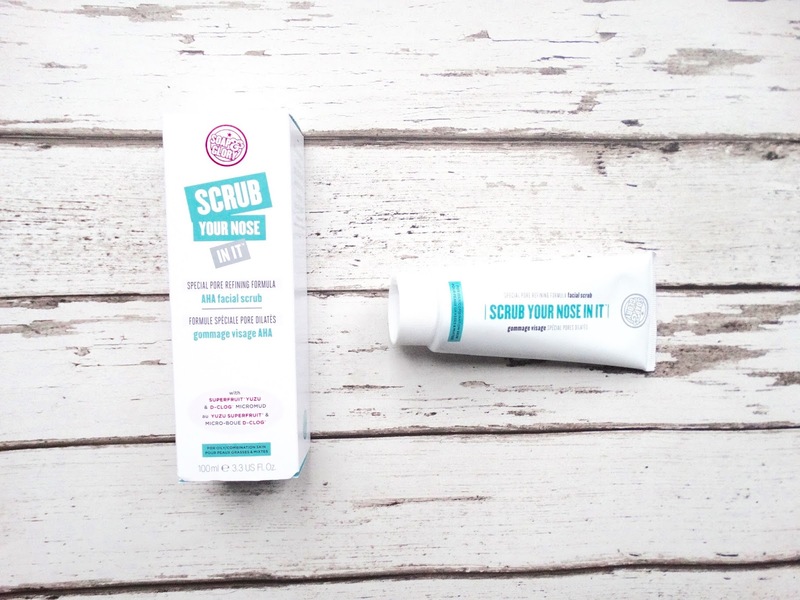 Soap & Glory: Scrub Your Nose In It! One of my favourite beauty regimes of the week is exfoliating my face. There's nothing quite like literally scrubbing away any grime and dirt that has lodged itself into your pores and feeling thoroughly cleansed after. I tend to mix up my scrubs, purely because I use them quite sporadically and just like to try different brands. 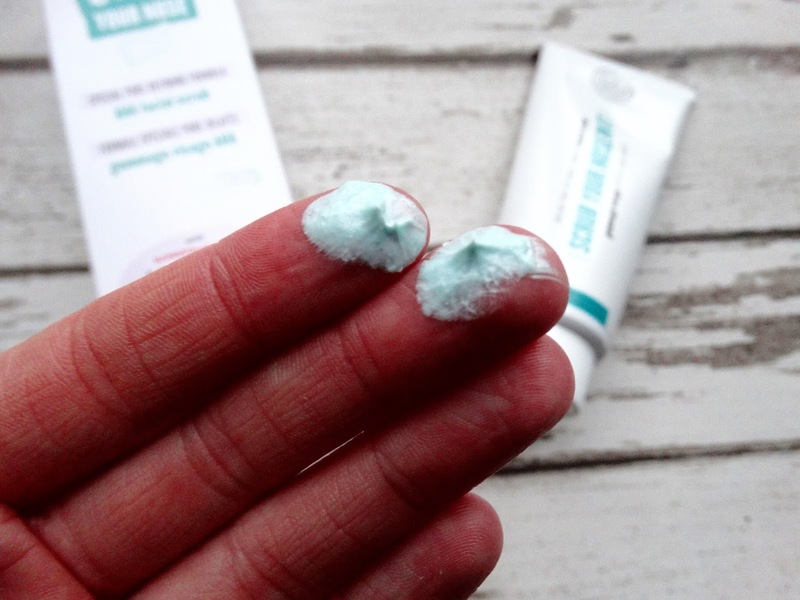 I've only ever tried one Soap & Glory skincare product before - and because we had quite the love affair, I popped Scrub Your Nose In It! in my basket. The pore refining formula uses products like micro mud, clay and fruit acids to help dissolve pore clogging dead cells, purify the skin and absorb excess oils on the skin. My skin feels so fresh after I've given it a good once over with it, albeit a little tight, but no more than any usual cleanses or washes leave me. You apply a pea sized amount of this on your t-zone, massage in circular motions and leave on for 2 minutes. I've not come across this method of leaving the scrub on before, but I quite enjoyed it. As this happens I always a feel a very cooling, almost menthol sensation come across my t-zone and I feel this may be why it makes me feel so clean. I was concerned that the ingredients in this (being quite acidic ) may flare up my eczema around my eyes and nose but thankfully I haven't had an outbreak since using it. And perhaps my favourite thing about the product? No plastic! 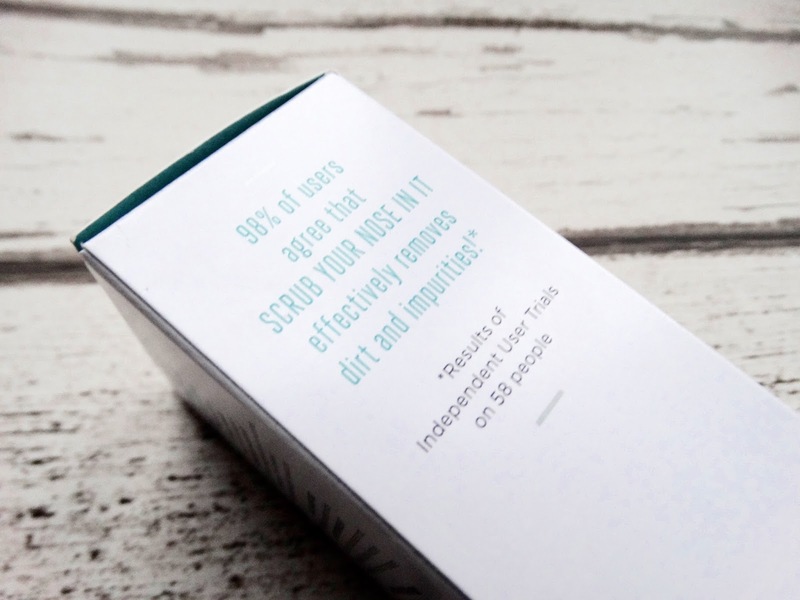 I panicked when I purchased is as the microbead element hadn't even crossed my mind, but after researching the product I'm happy to say it's all natural. And they don't test on animals! Bearing all this in mind, I may actually repurchase this scrub; no eczema flare-ups, no cruelty, no plastic microbeads. Soap & Glory - you've got a good'un here! So much love for this scrub!! !